This material may be downloaded, reproduced and distributed freely, as long as the source is clearly attributed. And so it is. Gopalakrishna is now established in changeless Peace, knows the thoughts of all around him, and possesses many miraculous powers. His foremost Western disciple, a beautiful man from Holland, told me an interesting miracle story. It seems that on one of his first trips to India, he had come down with dysentery, and when he reported to Gopalakrishna that the medicine prescribed by a doctor could not be found in the local shops, Gopalakrishna simply waved his hand and instantly manifested a strip of the required tablets. Some people have reported that by drinking the water used in Gopalakrishna’s worship of the Lingam they have been healed of long-standing diseases; others say they have had their personal problems solved, while others say that his grace has enabled them to find the most precious gem of all, peace of mind. It seems that Gopalakrishna Baba is a genuine wish-fulfilling tree. Devi Amma’s life story is amazing. When she was 15, her uncle died unexpectedly, and the tragedy led her into deep introspection on the meaning of life. In the spontaneous meditations that followed, she began hearing the sound “OM”, and soon after this, a blazing sun of spiritual light appeared in her room. From within that effulgence gradually emerged the form of a divine man with a radiant aura, who introduced himself as the ancient Sage Agastya, the first of the great Rishis. (She says, with all humor and humility, that in a previous incarnation she was Agastya’s daughter.) Agastya declared that he was her Guru, and began appearing before her on a daily basis, instructing her in meditation and the secrets of spirituality, and by the age of 20 she had attained Enlightenment. 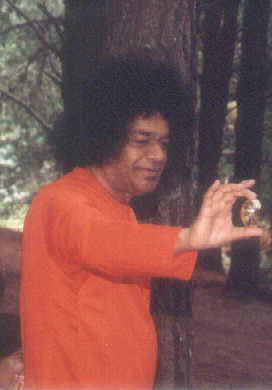 One night, Sathya Sai Baba unexpectedly appeared in her room, His form repeatedly changing into the form of Lord Subramaniam (her family’s chosen Deity) and then back into the form of Sai Baba, thus revealing His oneness with God. 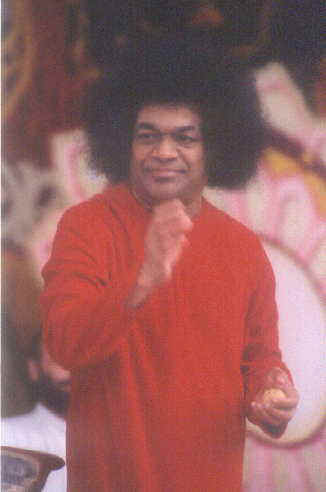 Some years later, when she finally saw Sai Baba in person, she had the same experience: “Sai Baba - Subramaniam! Sai Baba - Subramaniam!” She says that while Agastya is her Guru, Sai Baba is the Poornavatar, and is now working through her to bless and uplift humanity. The third great devotee is an Australian woman who calls herself “Little Heart.” She says she attained union with Baba through the path of Love, and now sees God everywhere, and is always aware of her true Being as all-pervading Consciousness. She lives near Baba’s Brindavan ashram, writes beautiful books, and gives sage advice, so to speak, to those with questions. Then there is Sai Lakshmi Ma, who says that in 1980 Baba came into Her body and has never left. In the several hours I spent in her presence, I witnessed a steady stream of delightful miracles. As soon as she placed a garland on the altar, amrit began trickling from a large photo of Baba. Then she held her palm towards Baba’s photo, and it was instantly filled with amrit, which was passed out to all. I had brought her a bag full of grapes and laid it in front of her altar; five minutes later she opened the bag, and showed me that a number of the grapes were now half-eaten, a sign that Baba had received the offering directly! She held up to Baba’s photo some bananas which my friend had brought, and after ten seconds, showed us that each banana now had clear teeth marks in the skin! Another friend of mine put three laddus (sweets) on the altar in a bag. A few minutes later Sai Lakshmi Ma indicated he should open the bag - and one of the laddus had a large bite taken out of it! (The specially blessed food was passed out to all.) Necklaces handed to her for blessings were returned a minute later, smelling of rose perfume or dripping with amrit. Empty containers passed to her would be returned miraculously filled with vibhuti or kumkum. When questions were asked, her responses seemed to indicate that she was hearing Baba’s answer directly and then passing it on. I was told that many people have received healings through her prayers to Baba. Although it wasn’t clear whether or not she is fully Self-Realized, the miracles were definitely genuine. At the very least, she is a great servant of God, and an extraordinary channel for Sai Baba’s blessings. I’ve also heard reports about a man named Vijai Shankar, based in Houston, who realized the Self through Baba’s grace, and is now traveling the world teaching advaitha (the philosophy of non-duality) and Atmic abidance. It’s always inspiring to have the darshan of those who have reached life’s goal by following my own chosen guide. Jai Sai Ram!